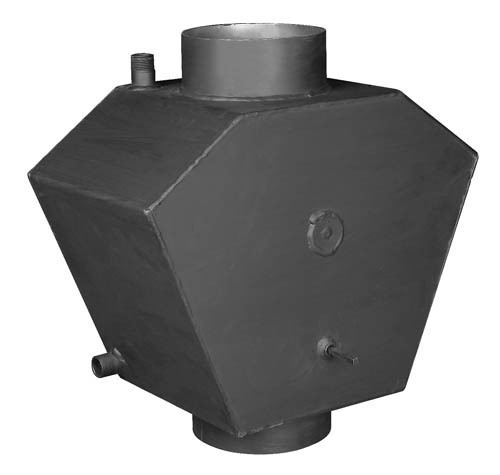 This Flue Boiler/Hot Water Exchanger is the latest addition to our range. It utilises heat from the flue gases that would normally be lost to the atmosphere, thereby greatly improving the efficiency of your stove. Outputs of 5 to 7kW can be achieved, heating your domestic hot water and up to 6 radiators.